Use to discourage most bugs and insects from landing or crawling onto treated areas. (ants, flies, mosquitoes, chiggers, spiders, fleas and ticks) Spray every 3 hours as needed. This blend was created to repel insects and yet it has proven to be the #1 deodorizer of bathroom odors and pet smells. The lemongrass and eucalyptus clean and disinfect the air from airborne germs. It’s become a favorite of ours at The Crystal Garden. 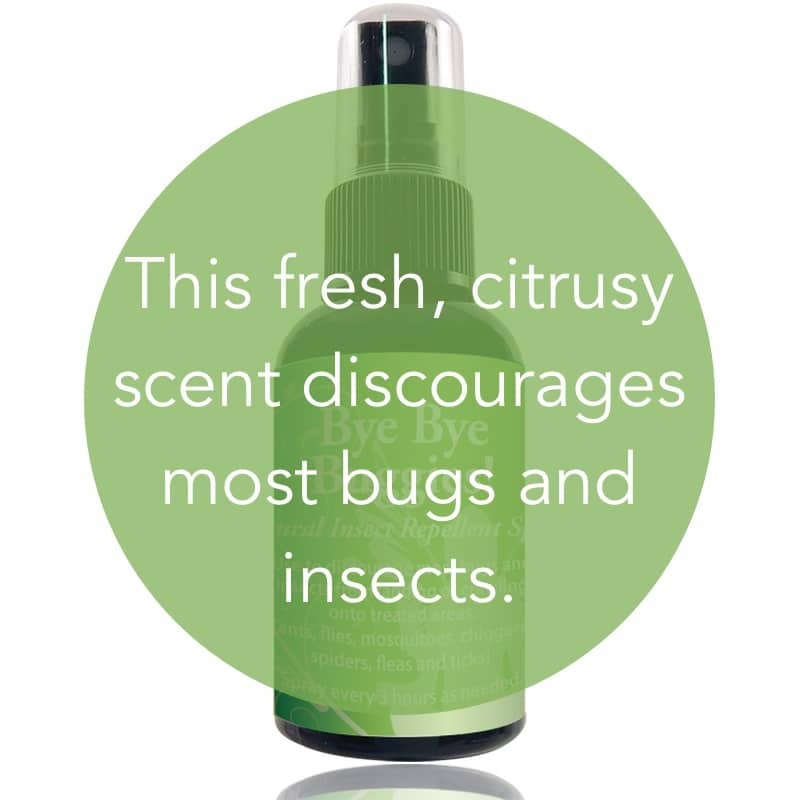 Physical uses: In addition to being a fabulous Natural Insect Repellent and Room Deodorizer, Bye Bye Buggies essential oil blend at the first sign of a cold or respiratory challenge to reduce or release the symptoms of cold, flu, and allergies. 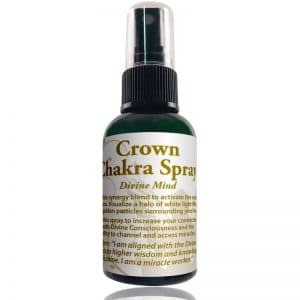 It opens up all breathing passages to relieve congestion of nose, sinus, and bronchial airways. 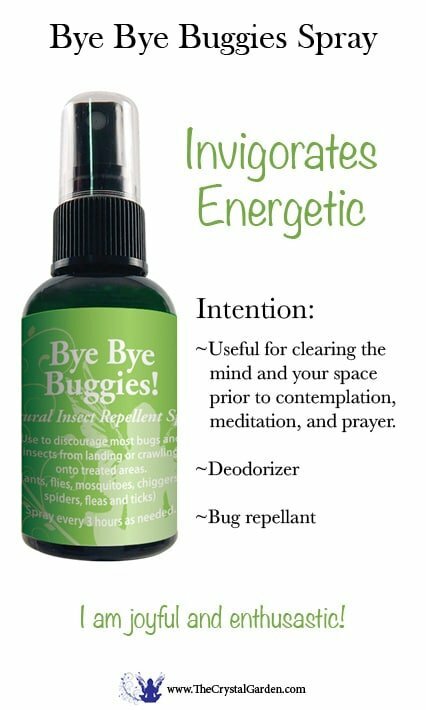 Spiritual uses: Bye Bye Buggies essential oil blend is useful for clearing the mind and your space prior to contemplation, meditation, and prayer. 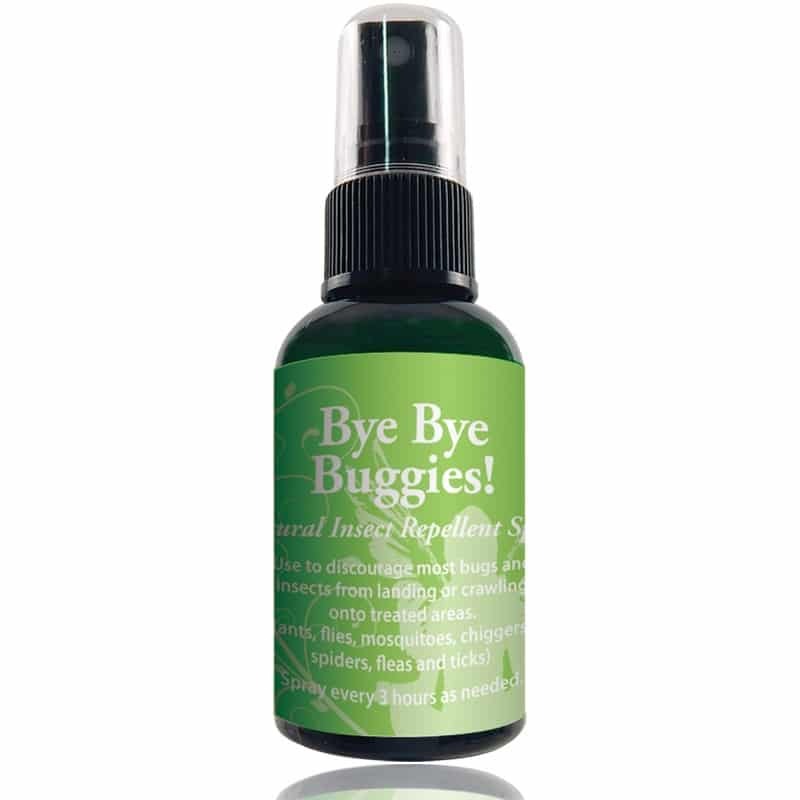 Mental uses: Bye Bye Buggies essential oil blend invigorates and promotes clarity. It also increases joyfulness and enthusiasm, while helping you to process all that is going on around you. Emotional uses: Bye Bye Buggies essential oil blend is useful to improve feelings of belonging, working in harmony with others, and compatibility.